This section provides the space for the Professional Land Surveyor or Engineer to report their results. The numbers listed in this section are compared to the “magic number” to see if they are above or below the BFE. 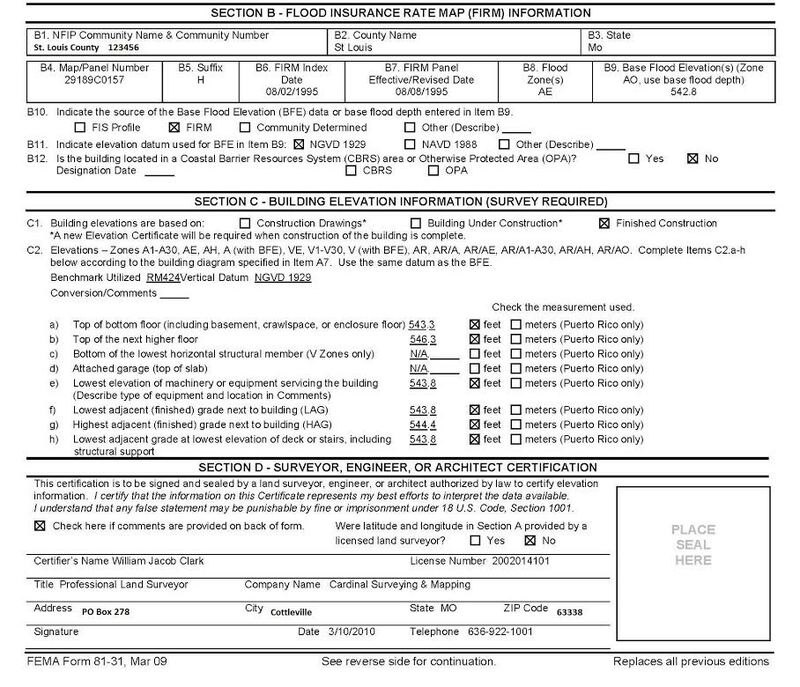 FEMA is mainly concerned about the elevation of the lowest portion of the structure (see C2a in the document), the elevation of the ground around the structure (C2f), and the elevation of any attached objects, such as a deck (C2h). If the numbers listed in these areas are higher than the BFE listed in B9 then there’s a good chance you’re out of the risk area. Don’t lose heart if not all the numbers are higher. You may still have options! This section is where a Professional Land Surveyor or Engineer provides his/her information. It is also where their seal is affixed to the document. You must have the seal and signature to represent a complete document. You can visit www.FEMA.gov for more information regarding Elevation Certificates and the data they provide.